Kissaluvs Marvels One-Size All-in-Ones WINNER! 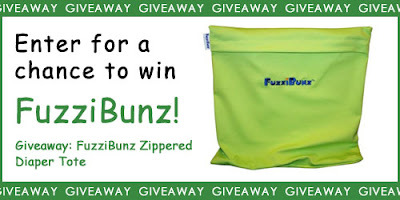 Fuzz Bunz Zippered Tote Giveaway! Cuties in Cloth Contest WINNERS!!! Lusa Organics Review and Giveaway! Cloth Diaper Accessories Kit WINNER! Giveaway! Kissaluvs Marvels One-Size All-In-Ones! Ergo Baby Carrier Holiday Promotion! Nicki's First EVER Cuties in Cloth Contest! Imagine Pocket Diaper and Diaper Cover Review! Econobum Buy 1 Get 1 FREE! (along with Annie's baby coming!) pushed this back a day! CONGRATULATIONS! Please email casey@nickisdiapers.com within a week to claim your prize! Thank you to all who entered! Congratulations to our Giveaway Winners from Cyber Monday! and have had their prize added to their order. Are you ready for your chance to win a Fuzzi Bunz Zippered Diaper Tote?! You can do each one of the entries however you must post back here to our blog and tell us WHAT you did. Be sure you follow the Nicki’s Diapers blog - publicly for your chance to win! We will post our winner on Wednesday, December 14th! Place an order at nickisdiapers.com, myswimbaby.com or clothdiaperclearance.com between 11/30/11 and 12/13/11. Include your order number in your entry. Tell us your favorite way of storing dirty diapers when on the go! Congratulations to our Giveaway Winners from Black Friday! and you have a chance to win in Giveaway Round Two! This Monday only (11/28/11) Nicki's will have a second round of amazing discounts! more additional Freebies and Giveaways. Many items are reduced and will be included in the additional 10% OFF! Be sure to check our Cyber Monday Deals Category for extra special savings! baby weight in the Dropdown Boxes at the bottom of the checkout screen. Be sure to check out our "SALE" category for extra special savings! Cyber Monday deals on Nicki's Diapers! As ALWAYS, free shipping on ALL Pocket Diapers at Nicki's Diapers! 10% OFF (Coupon Code: Black) with additional Freebies and Giveaways. Be sure to check out all the wonderful Black Friday Deals as well!